Baabda Brazilia,sea view, 250m2, 3B.R, 2salons, Dining room, Park. Ras Beirut, NEW, 386m2, very good finishing touches, 4B.R, 2 Salons, Dining room, 2 Park. 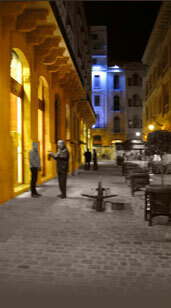 Ashrafieh, NEW, good finishing touches,460m2, 4B.R, 2 salons, 3 Park.